With a growing family tired of sharing one bath, we wanted to create a Master Bath somewhere in their bedroom. 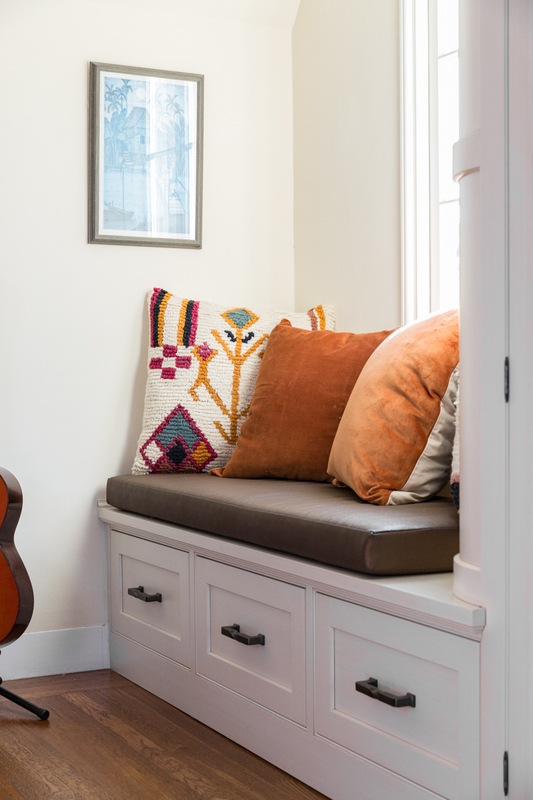 We targeted a cramped closet as the ideal spot for inserting a bathroom. By popping in a new dormer, we created enough space for a generous bathtub and the illusion of greater space. New wardrobe storage cabinetry in the bedroom replaces the lost closet and incorporates a sunny window bench to boot.